I want this story that I’ll unfold here like a picnic tablecloth for her and for you, to be an eye-opening testimonial to the true character of Austrian cuisine – bold and beautiful, yet modest and dignified – exquisitely artful, and filled with joy of life. Arriving via always cordial Austrian Airlines on a warm September day, I checked into Altstadt Vienna in the city center, and immediately felt at home. The hotel was located in a repurposed apartment building from 1902, very similar to the one I used to live in in the Old Country… Guest rooms with high ceilings, double doors, and windows open to the fresh autumnal air, smiley polite service, and the contemporary art collection scattered throughout tiled hallways and wrought iron staircases – everything was welcoming, neat, and unmistakably European. Beautifully served breakfast with assorted fresh breads, cold cuts and made to order eggs (pouched in champagne sauce on my first morning!) in addition to homemade coffee cakes and high-quality teas set the mood for an exciting culinary exploration ahead. Our group gathered and met with Bianca Gusenbauer of First Vienna Food Tour company by the Viennese most famous landmark, the Secession Building – a masterpiece of Art Nouveau nicknamed “The Golden Cabbage” by the sharp-tongued Viennese. We’ve immediately learned a few things from our guide – that it’s mandatory to look in each other’s eyes while saying “Prost!” (yes, we started the tour with some Austrian sparkling); that on the map Austria looks like Wiener Schnitzel, its most famous dish, and that charcuterie is considered a good dinner in Austria while hot hearty meals are reserved for lunch. On our walk through the Naschmarkt, the most important produce market in Vienna, we noshed on a variety of Austrian foodstuffs, from a golden-fried lake trout at Umar restaurant and cave-aged cheeses at Käsehütte to “blue poppy” Zotter chocolate and cloudy semi-fermented Sturm wine, only available for a couple weeks in season. 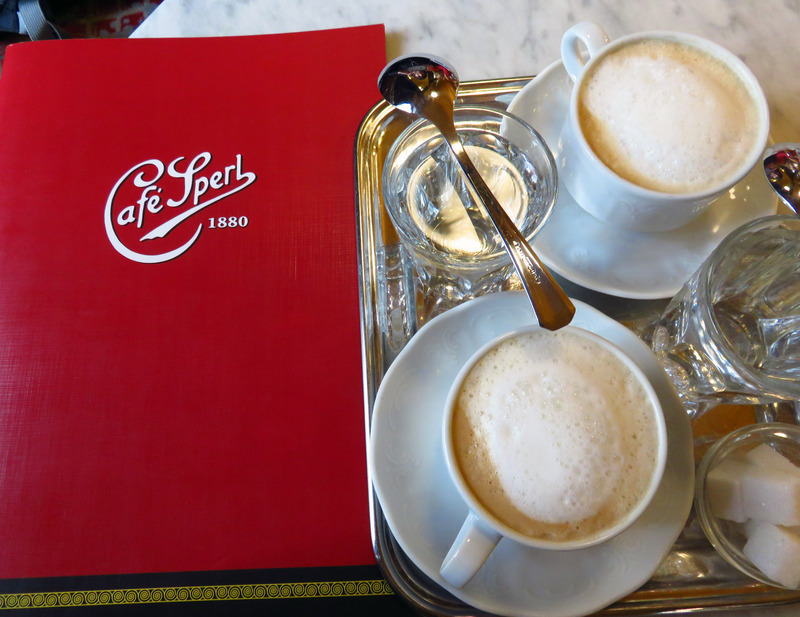 We concluded our exciting learning experience with Bianca at Café Sperl, in existence since 1880, where Imre Kálmán, Franz Lehár and a host of other composers, artists, writers, and high government officials indulged in the same atmosphere of marble tables, red velvet banquettes, and matt light fixtures as well as coffee and sweets we were enjoying on our tour – Mélange and Einspänner, Sachertorte, Apfelstrudel, Mohnzelten, and other purely Austrian delights. 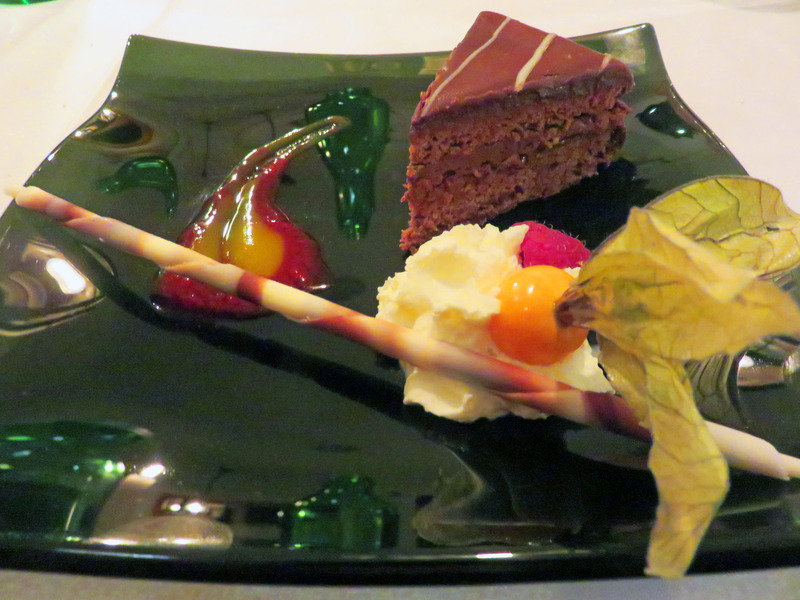 Viennese culinary surprises continued to unfold in front of us. 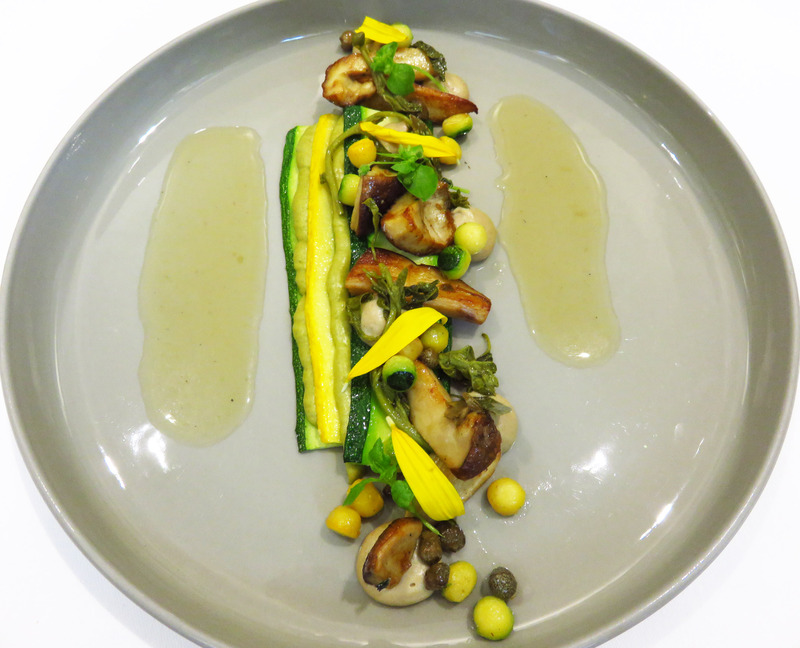 Tian, a Michelin-star vegetarian restaurant, led by Chef Paul Ivić, presented a five-course completely meatless tasting menu that sparkled with bright colors and imaginative ingredient combinations putting together pumpkin with apple and cardamom, celeriac with egg and edamame, and zucchini with mushrooms and capers to the most delightful effect. A desert course consisted of peach ice cream with dates and rose petal sauce. 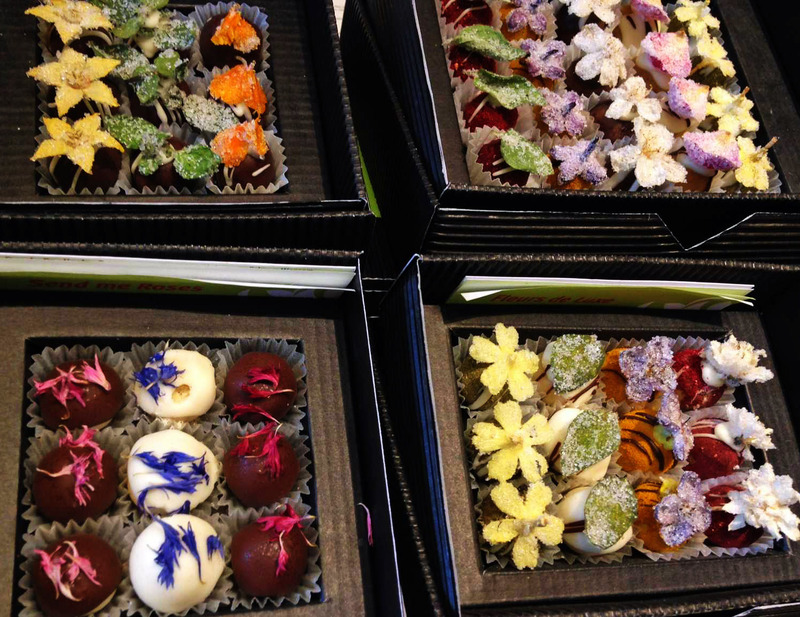 Edible flowers made their appearance in a unique confectioner’s shop, Blühendes Konfekt, created by Michael Diewald. The “Blooming Confections” enthusiast picks most of his ingredients in his own garden and in the forests that surround the city. He dries petals, leaves, and whole inflorescences, and encases them in glittering sugar, creating one-of-a-kind fairy-tale stuffing and toppings for his pralines, marmalades and pastilles. Thoroughly enchanted by Viennese cuisine, we headed south for Graz, the capital of Styria – one of Austria’s nine administrative regions, known for its forests and vineyards, mountainous lakes and apple orchards. The most famous foodstuff in Styria is nicknamed “Austrian black gold,” but in reality its complex color palette differs from shades of emerald green to reddish-purple, colliding on the edges of a dense reflective black liquid. This is pumpkin seed oil, Kernöl, fragrant and delicious, rich and nutty, easily transforming any ordinary soup, salad, and even ice cream into a heavenly treat. 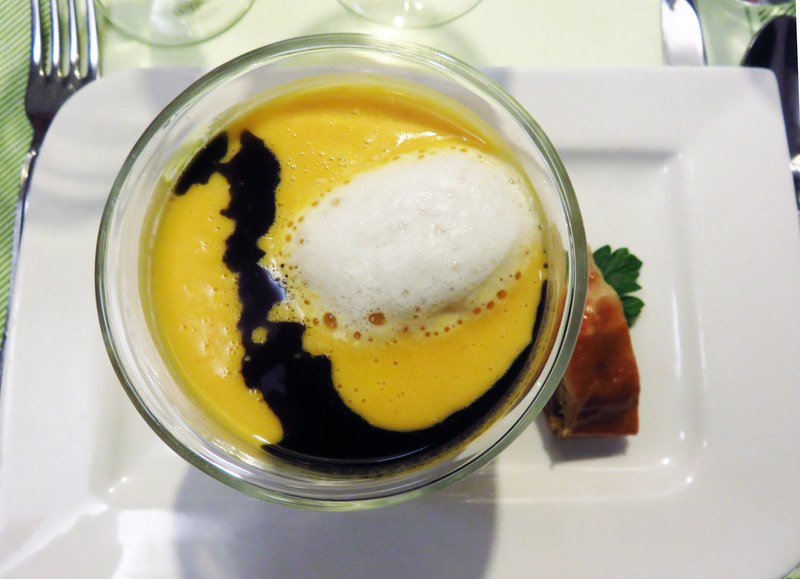 Our group was admitted to a special event – Styrian Pumpkin Seed Oil Tasting in a private room of Gasthaus Stainzerbauer – a restaurant in existence since the 19th century, located in one of the oldest houses of the inner city near Graz Cathedral. A licensed nutritionist with a degree in science, Theresia Fastian, engaged us in a lively presentation on historical facts and cultivation of the pumpkin, traditional processing of oil, nutrients and tips on usage, and finally sensory experience and tasting. 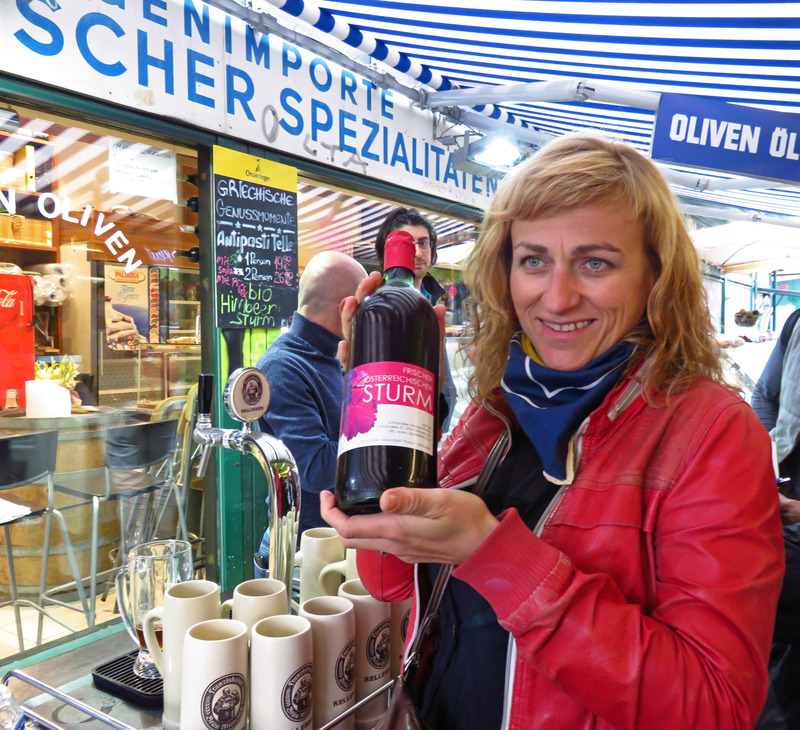 For comparison, we were offered five samples of pumpkin seed oil from different origins, and after her short lecture were able to easily identify the winners of real Styrian product annual competition vs. cheap knock-offs readily available on the world market, but not worth using for food. 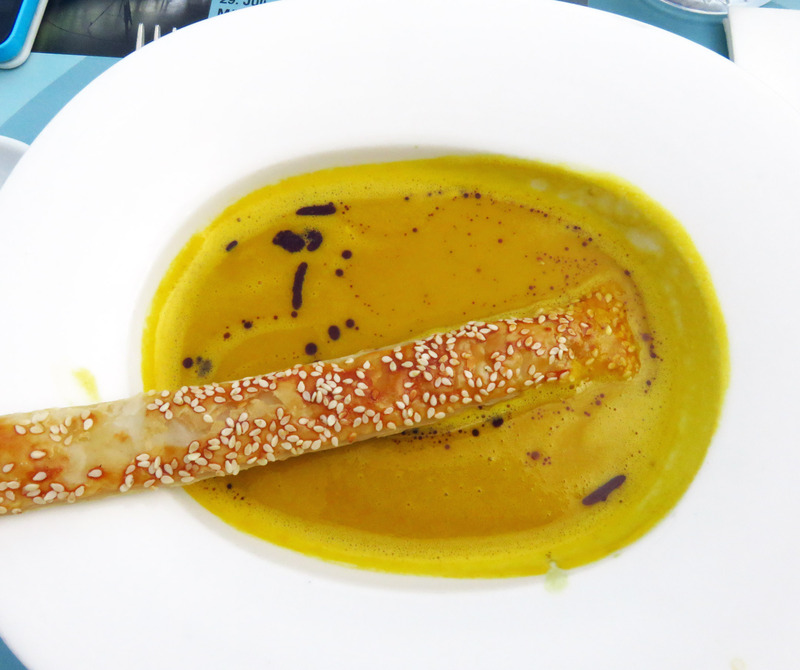 For the occasion, the restaurant prepared a special menu of pumpkin soup with pumpkin seed oil, meat roast with red wine sauce, and everyone’s favorite vanilla ice cream with pumpkin seed oil and seeds. After a visit to the colorful Graz produce and flower market, overflowing with seasonal bounty of apples, mushrooms, pumpkins, asters, and dahlias, we sat down for lunch at a posh Restaurant Carl by Philipp Haiges near the Opera House. 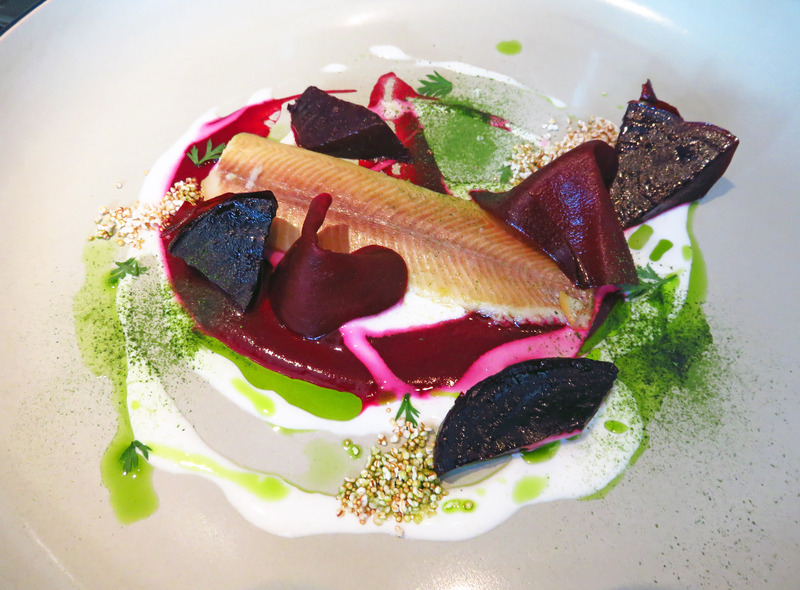 A delicate filet of trout (Austria’s favorite fish) with roasted red beets and herbed sour cream was a great example of the elegant seasonal cuisine widely consumed in the country in midday. We tried several other local favorites. At the Delikatessen Frankowitsch, a deli institution from 1932, where city dwellers are queuing up around the block for the picturesque open-face sandwiches, we had Campari cocktails at the pop-up Campari bar. 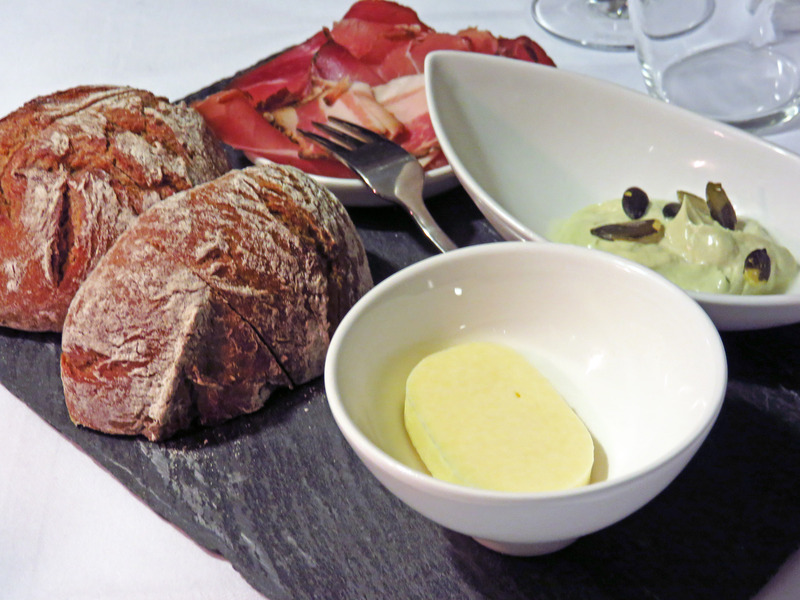 At Bar Albert on the pedestrian-friendly Herrengasse, we sampled the famous Styrian Vulcano ham, aged for six months and marinated in herbs, and aged sheep cheese from the volcanic region in the vicinity of Graz. At Landhauskeller, inside the oldest Renaissance building in Styria, we indulged in the traditional Styrian fried chicken, and in Schlossberg Restaurant high above the city, near the iconic clock tower – in more pumpkin soup with Kernöl and house-made dumplings with seasonal mushrooms, stewed tomatoes, and mountainous cheese. In search of more Austrian culinary discoveries our group also visited Salzburg and SalzburgerLand – one of the most beautiful places in the world – with green pastures and blue lakes, framed by snowy peaks of the majestic Alps, where farm-to-table cuisine is an inherent part of the lifestyle, and not a passing fad. Our first stop in the area was at Wirtshaus Döllerer in a small village of Golling. 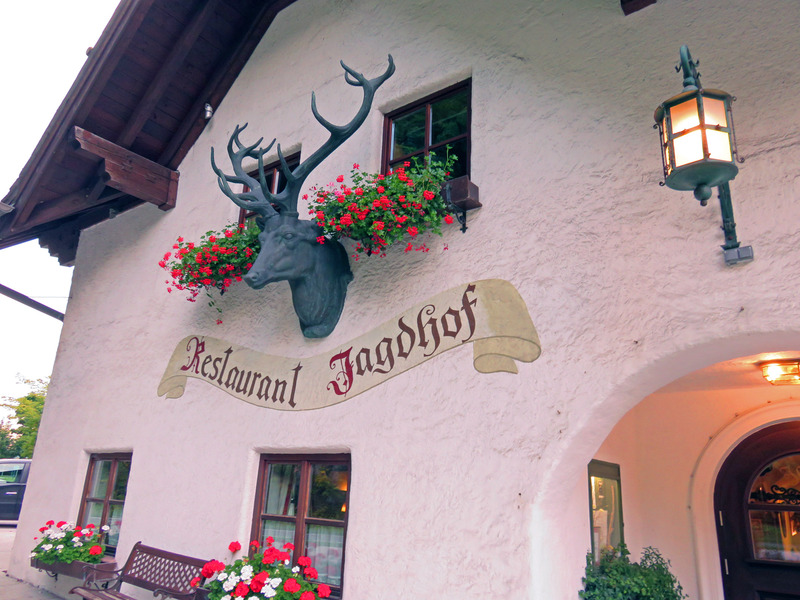 Dirndl-clad waitresses promptly put on the table bottles of Stiegl beer from the oldest brewery in Austria, in operation since 1492, and slate boards with freshly baked bread, butter, volcano ham, and a Kernöl dip studded with dark-green pumpkin seeds. Chef Andreas Döllerer, a winner of multiple awards, and a cookbook author of “Cuisine Alpine,” puts on the table authentic Austrian dishes from his native region, like seasonal young venison in red wine and mushroom gravy, and Bluntau Valley char with local vegetables and horseradish. After a hearty lunch, we headed to Fürstenhof dairy in Kuchl, where a healthy herd of Jersey cows provides enough milk for a fully operational cheese factory and almost daily cheese-making classes that attract tourists and locals alike. At an impromptu cheese tasting we familiarized ourselves with a variety of Alpine cheeses – from mild and creamy to sharp and fragrant. Upon reaching our beautiful Hotel Gmachl, the oldest family-run business in Austria, located in the town of Elixhausen, we had just enough time to swim a few laps in an infinity pool in the hotel spa with glass walls, overlooking the village and the Alps above it, before sitting down to a well-prepared and beautifully served dinner of beef consommé with semolina dumpling, meatball, and strudel, and other Austrian specialties. 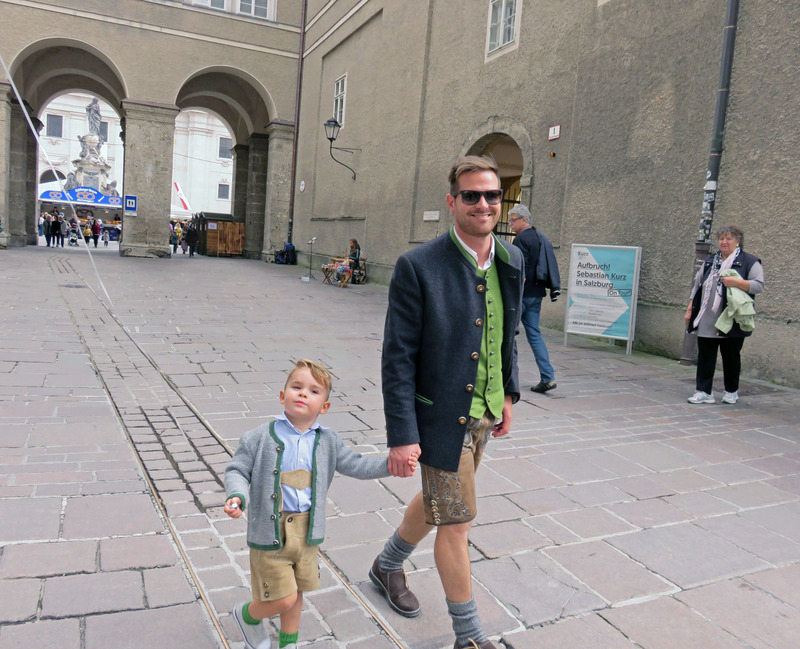 Next day, Friday, on our visit to Salzburg, we appeared right in the middle of a festive weekend celebration dedicated to St. Rupert, the patron saint of the Austrian state of Salzburg. 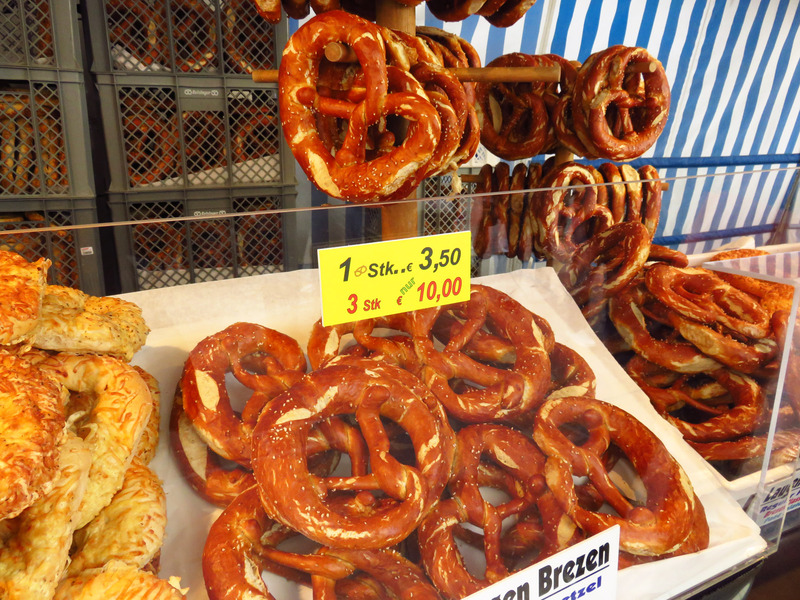 The entire city center turned into an old-fashioned fairgrounds with pretzel- and sausage stands, carousels, and a lively crowd dressed in dirndls and lederhosen. On a food tour of Salzburg with our guide, Astrid Zehentmayer from Salzburg for You company, we visited Rigler’s oil, vinegar, and spice shop, and sampled some of its distinct blends; stopped by the oldest bakery in Salzburg that dates back to the 12th century – Stiftsbäckerei St. Peter on Kapitelplatz, and tried bland, flour-and-water bread, prepared by the same ancient recipe; and indulged in a real original Mozartkugel a.k.a. Mozart ball, produced by Fürst in 1890. The company shop on Brodgasse is still selling the same fine chocolates with marzipan center, wrapped in silver and blue foil with the genius composer’s silhouette. A delicious break at the oldest continuously operating coffee house in Austria, Cafe Tomaselli, yielded lavish coffee drinks and pastries, delivered to our table on a heavy tray by a graceful waitress in black dress and white apron. Lunch on an outside terrace of M32 on a hill by the Museum of Modern Art, with spectacular views of Salzburg, presented yet another version of pumpkin soup with pumpkin seed oil, giving us a great opportunity to compare different preparations of this popular seasonal dish, and pick the favorites. Finally, we made one more excursion in SalzburgLand – a visit to Schloss Fuschl – an upscale hotel on the shores of a pristine lake, where we had our farewell dinner at the hotel restaurant Jagdhof serving goulash, spätzle, and a cake, that according to the hotel manager, far exceeds even the most famous cake in Austria – the glorious Sachertorte! If you don’t believe it you can travel to Austria and check it for yourself. Additional information at: www.austria.info, www.vienna.info, www.graztourismus.at/en, www.salzburg.info, www.salzburgerland.com.